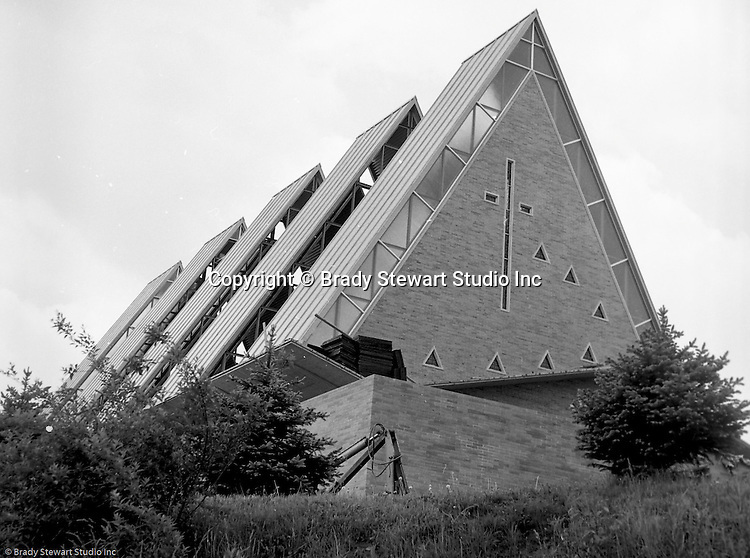 Pittsburgh PA: View of the construction of the St Sebastian Catholic Church on Siebert Road in the North Hills. The parish was founded in 1952 and this permanent church was built in 1960. You can view the church from McKnight road. This assignment was giving to Brady Stewart Studio by A.M. Byers Company.